E-Wedding card will be customized with your text. 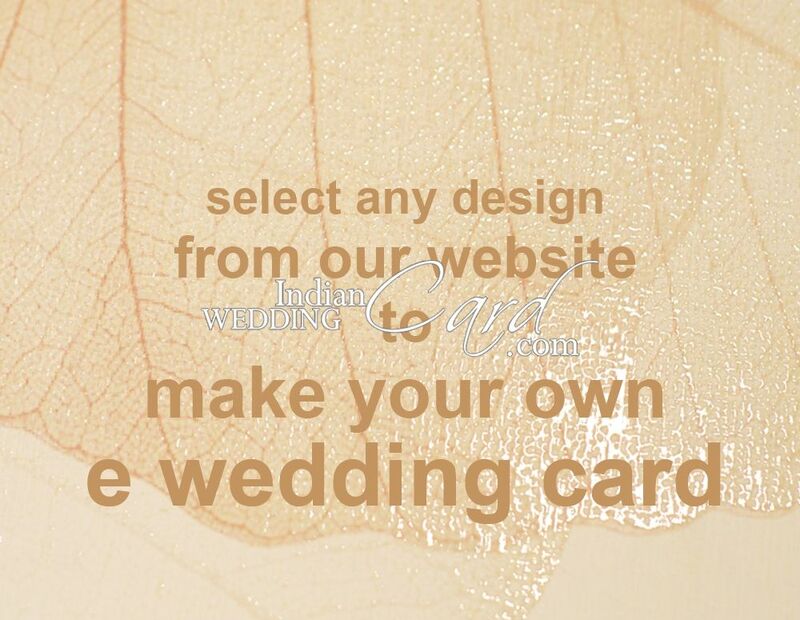 The new age cards are here.. E-Wedding Cards…Select any card from website and we customize it with your text, get approval and give you MP4 file to send to your friends and relatives. Order E-card & make payment online. Once you make order, send an email with word file for the wordings. Digital proofs are sent for checking. Make amendments as required and approve proofs for final E-card. You can use the e-card ‘n’ number of times to invite your near and dear ones.